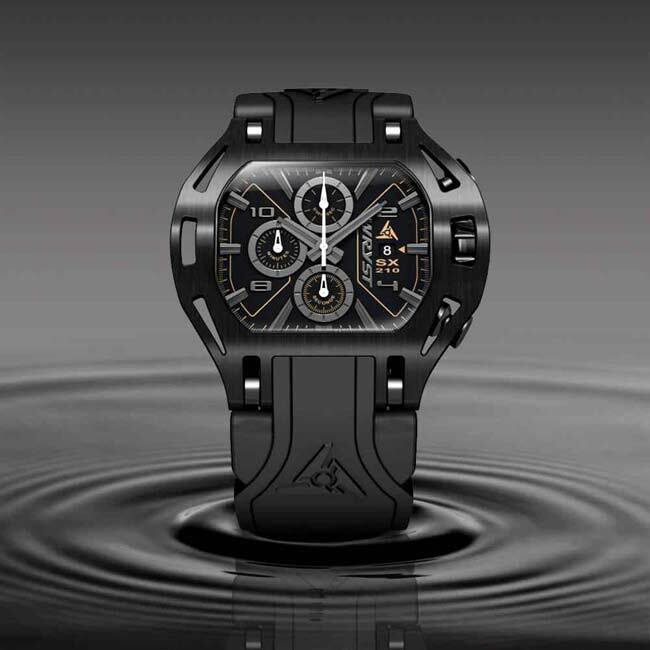 Sports Black on Black watch Wryst Force SX210 with chronograph functions. 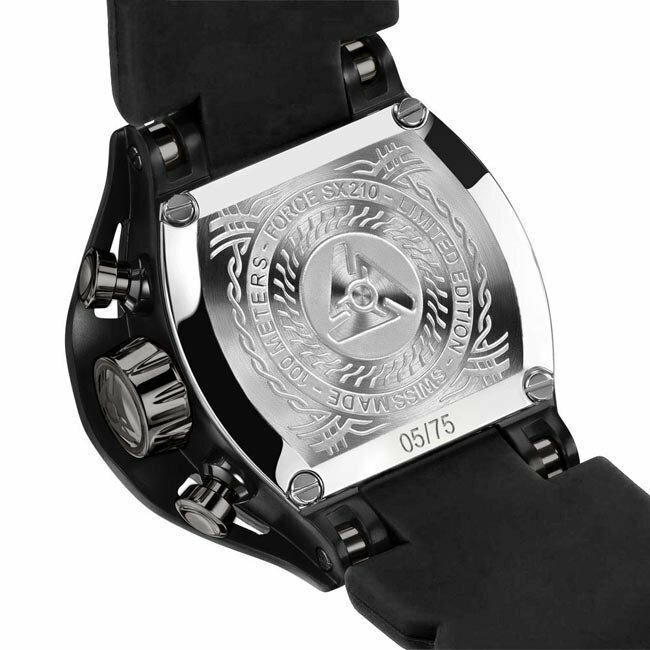 Black DLC casing, black dial, and dark Gun PVD polished crown, pushers, and indexes for an exgtraordinary sports watch dedicated to strength, seriousness, power, and authority. The chronograph hands are in white providing a clear reading to time an event or race with accuracy. Black is also the color of mystery and elegance. 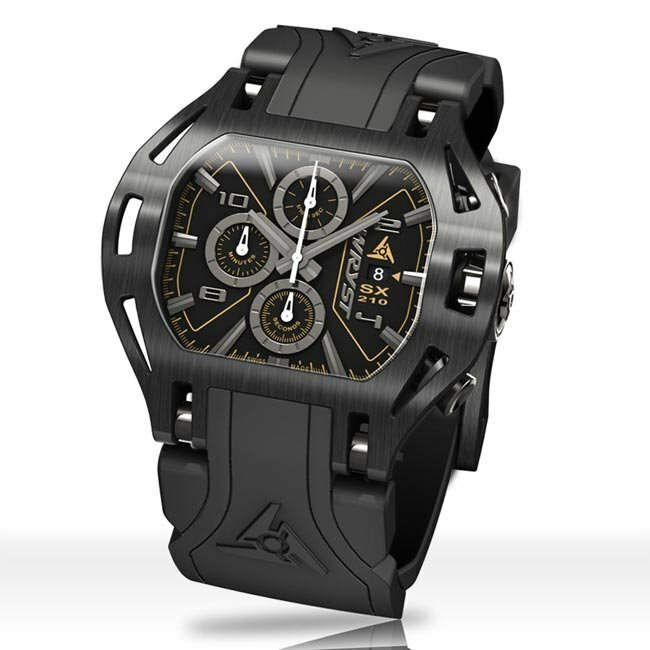 Only 75 units of this limited edition Swiss black on black watch will ever be available. Two bracelets are included with this luxury timepiece. 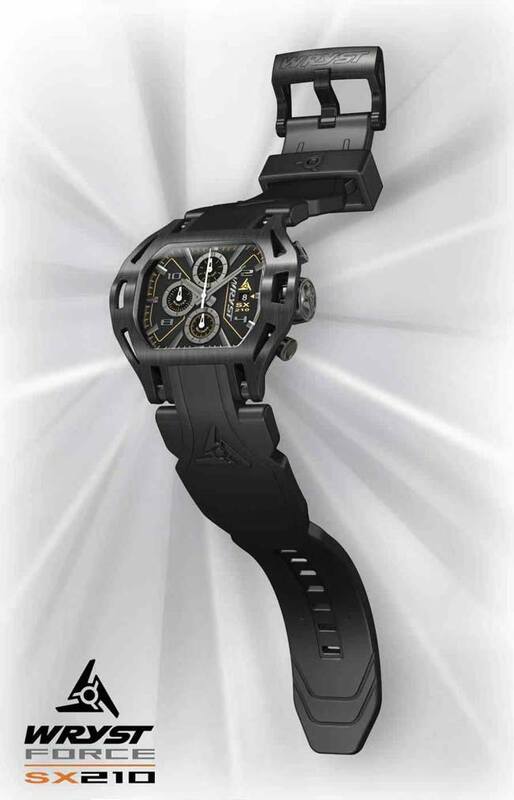 The black on black watch Wryst SX210 Swiss Made is the second all-black watch produced by Wryst in limited edition. The sturdy case design size 50 mm will reaffirm your competitiveness and charismatic personality. With the scratch-resistant black DLC coating your exclusive timepiece is also a long term investment. How long does your black watch usually last? One week at the most before you see unintentional scratches on the case? The hardness of your new Wryst Force SX210 is designed to withstand rough usage for 80 years. Purchase finally today the tough black on black watch you always wanted. This stylish watch dedicated to sports has an elegant black matt dial with slightly contrasted polished GUN PVD hands and indexes. The chronograph function hands are in gloss white for clear reading of timing functions. The wide double injection black on black watch bracelet with dustproof coating feels comfortable and gives a mysterious sensation. 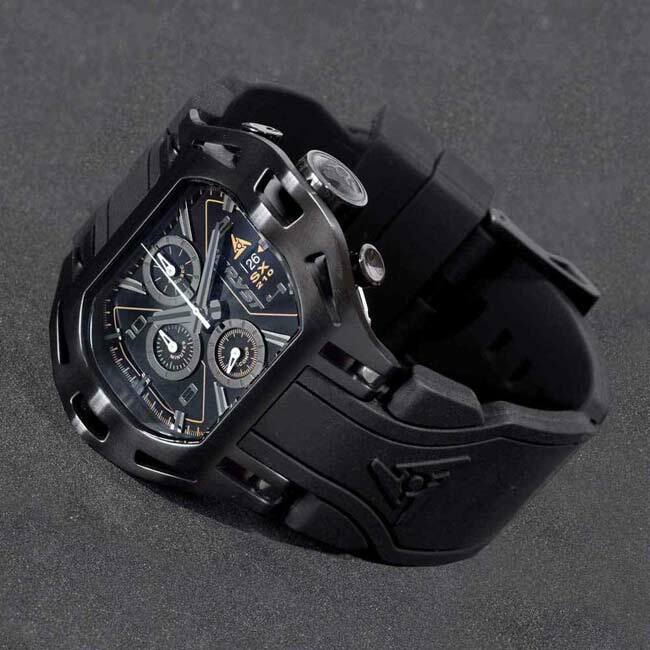 Wear the dark force on your wrist with this unique black Wryst Force SX210 watch. Accuracy is also a must just when you need it. With the gold plated 5 jewels Swiss quartz movement, your precious black watch has a battery life of 54 months. Water-resistant to 100 meters and with a screw down crown, the casing also provides a scratch-resistant sapphire crystal with anti-reflective coating. Wryst only provides thick engraved case backs tightened by four apparent screws. More FORCE Swiss watches are available, with the Force SX230 in polished steel and deep blue sunray dial, the black DLC and rose gold dial Force SX270 watch, and the unique deep blue Force SX300 with grey color. 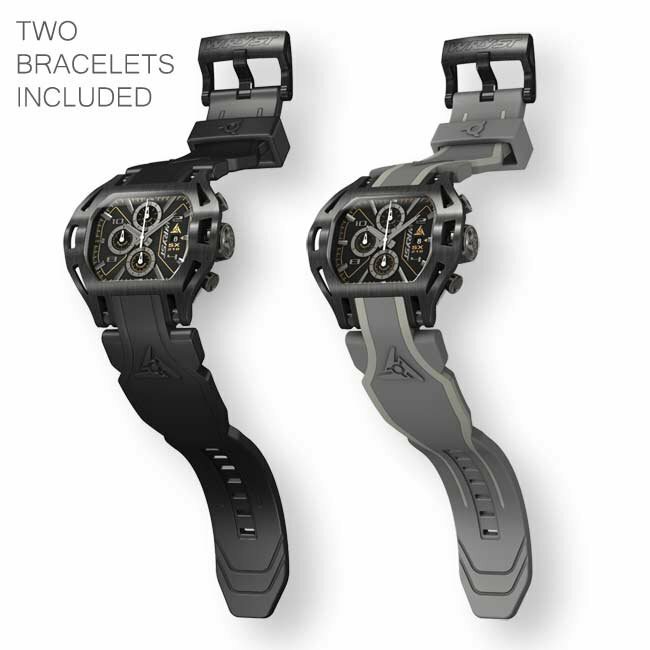 This SX210 watch is also available with dark grey and soft grey bracelet. 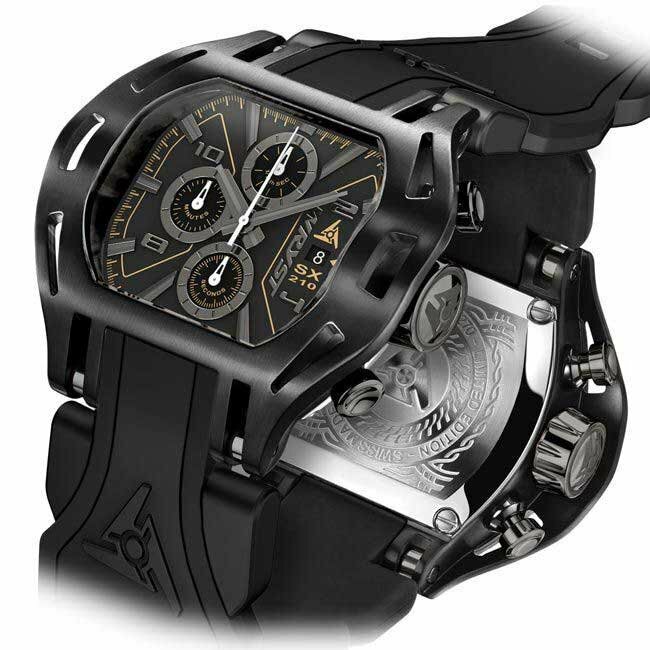 Since 2012, Wryst thrives to provide individualists with astounding luxury Swiss sports watches. Exclusively available for online purchase and directly from the manufacturer, one can be sure to obtain excellent and friendly customer service. At first I could not believe my eyes... Was expecting the watch to look cool but then I unboxed my new SX210 and I must say it looks and feel totally insane. Will start saving to buy another one. I never felt this way before about a timepiece. Thank you so much!